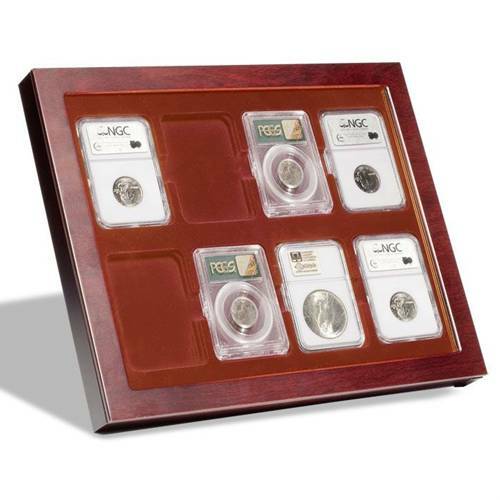 This rich mahogany grain finish coin showcase will display up to 8 US Slabs (PCGS, NCG, etc.) with a large glass cover. Overall size of case measures 10" H x 12-5/8" L x 1-1/4" D. This is made with a magnetic drawer that will allow for easy replacement of your slabs. Perfect for displaying on a tabletop or on the wall! Comes with display stand and wall screws.